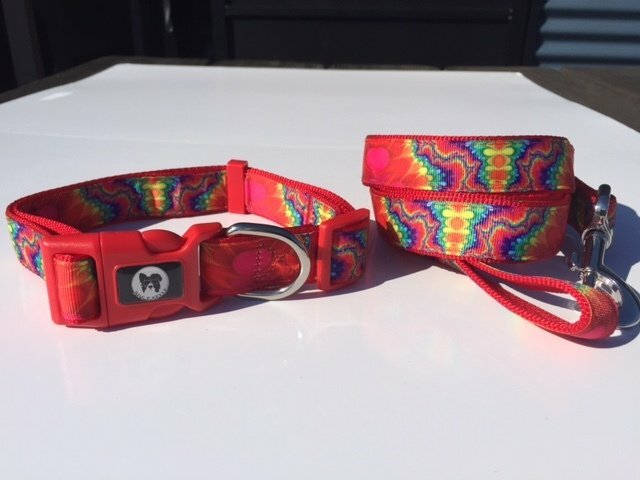 Our DOG E STYLE designer collars come in 2 sizes S-M and M-L. They are a double stitched nylon so they are soft and breath well around your pets neck. 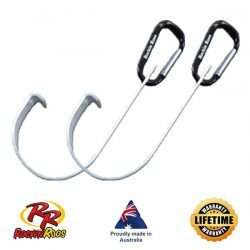 Each collar has a heavy duty plastic clip so they won't rust close and have a solid metal clip to attach your lead. The S-M will fit small breeds such as a Fox Terrier to small Border collies. The M- L will fit medium sized dogs up to a Bull Mastiff . Collars come in 6 colour choices Rainbow (pictured above); Ocean Swirl, Champagne Pink, Zebra, Summer Days (Orange) and Blue Stripe.